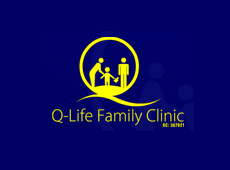 My experience: My sister recommended this clinic for some immigration test I had to do. She works with a bank that uses this clinic. I was not at all disappointed. The staff were very professional and straight to the point. No time wasting. They even smiled and cracked jokes! The doctor who examined me (and my younger sister) was very friendly as she walked us through the examination process. There was even a t.v in the waiting area (showing an african magic movie) that acted as a good distraction so people didn’t even realize how much time they spent waiting. The building was also well air-conditioned. I will highly recommend this clinic to everyone and anyone. My mum went there for immigration medical test, even though she lives in Ibadan, they have to called her back again to redo the test, now they said that result will come out in 8 to 10 weeks. I don’t know what kind of test takes that long.